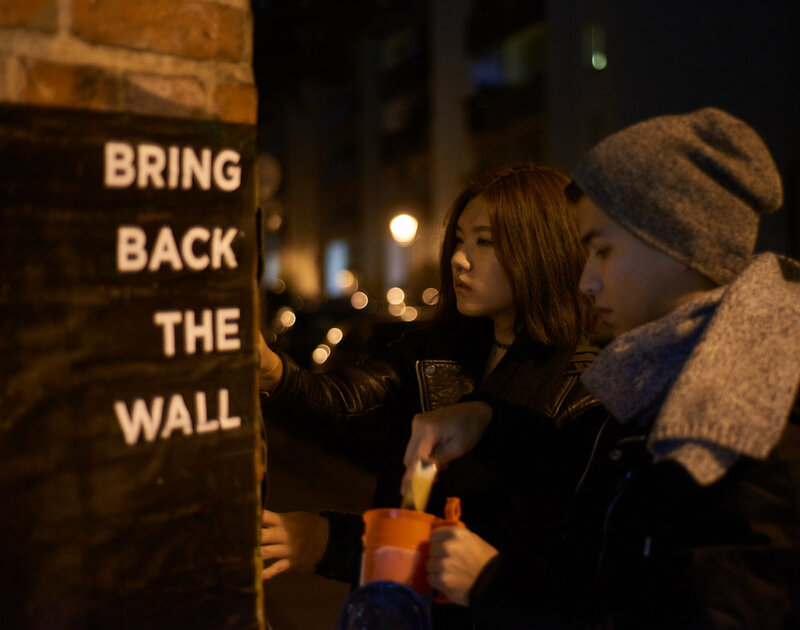 The Wall is trying to connect people without the built-in prejudices of others based on race, nationality, or religion. Based in Berlin. The city that opened the doors to the Syrian refugees when they needed it the most. In the streets however there where mixed feelings about it. That's the reason why we created The Wall. We started a portrait series with strangers in the streets of Berlin. We got their impressions of the city and it's biggest challenges. We then took a profile photograph of their face. After we paired strangers FACE-TO-FACE in our social media. The strangers could interact, talk and even learn from each other. An encounter that otherwise wouldn't have happened. We created an experience space in Berlin, with the help of local street artists. Participants walked into a room divided in half by a wall in complete darkness. Forcing them to interact with people in an anonymous way. When people interact anonymously they are not allowed to create prejudices and judge. Creating a personal, human to human experience. The participants were then able to go through a door in the wall and face the person they interacted with. We first have to establish the wall concept in a personal way before it can be understood at a global scale. Special thanks to the people of XI DESIGN BERLIN for letting use their space and helping us create this art exhibit.